We can’t exclude a possibility that the Index may yet grow up a little bit. 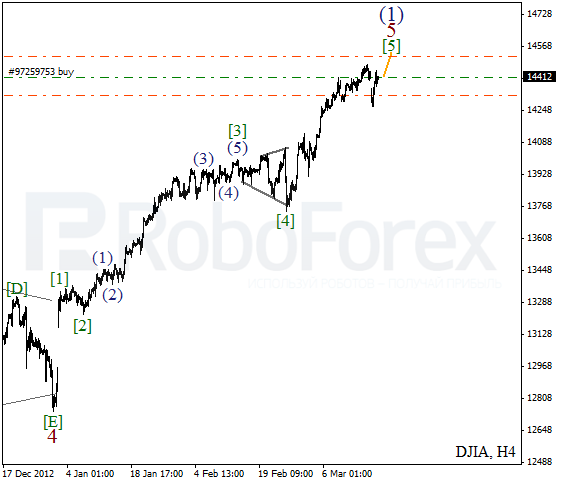 Most likely, the bulls will reach a new maximum while forming the fifth wave. During a local correction I opened a short-term buy order. 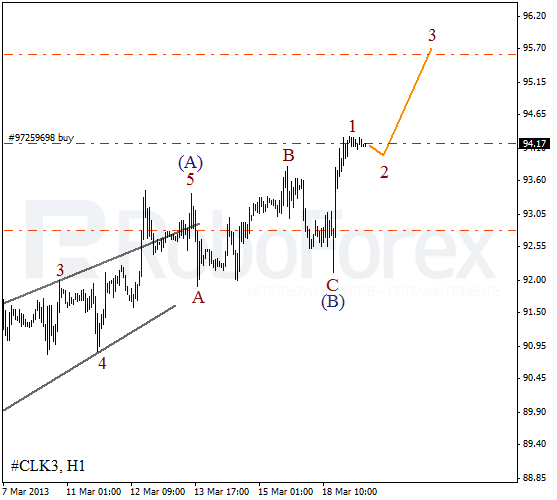 At the H1 chart we can see that the latest descending movement of the price may be considered as the fourth wave. Right now the Index is starting the fifth wave. 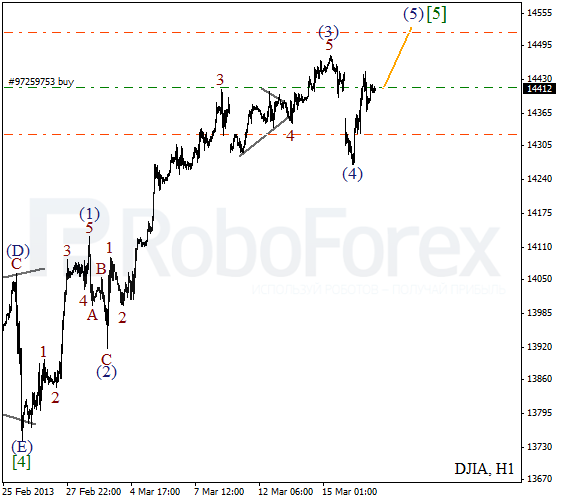 The targets are a bit above the level of 14500, which later may be a starting point of a reverse. 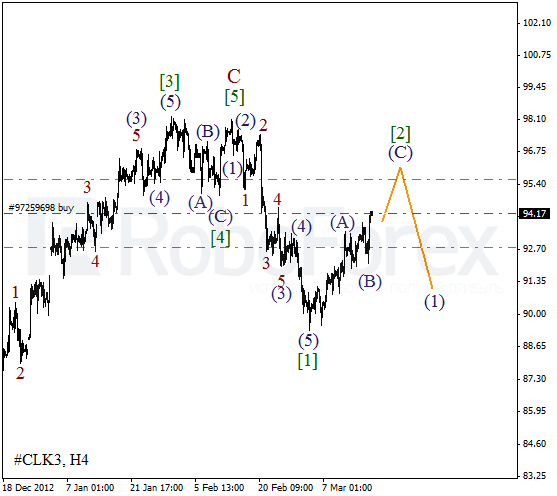 Oil is still forming zigzag pattern inside wave . On the minor wave level the price is forming wave (C). Most likely, later the instrument will grow up a little bit, that’s why I opened a buy order with the tight stop. Wave (B) was completed in the form of flat pattern. Later the instrument finished an initial ascending impulse and right now the market is being corrected. During the day the price may start a new ascending movement inside the third wave.